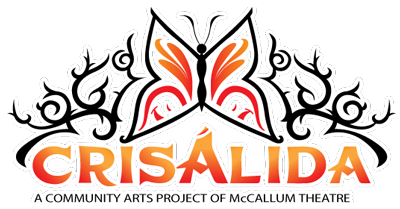 Crisálida: Community Arts Project | Laying it down! Giant and Verz, DMHS, Galilee Center, 24th St. Theater!!! Laying it down! Giant and Verz, DMHS, Galilee Center, 24th St. Theater!!! 23 Sep Laying it down! Giant and Verz, DMHS, Galilee Center, 24th St. Theater!!! 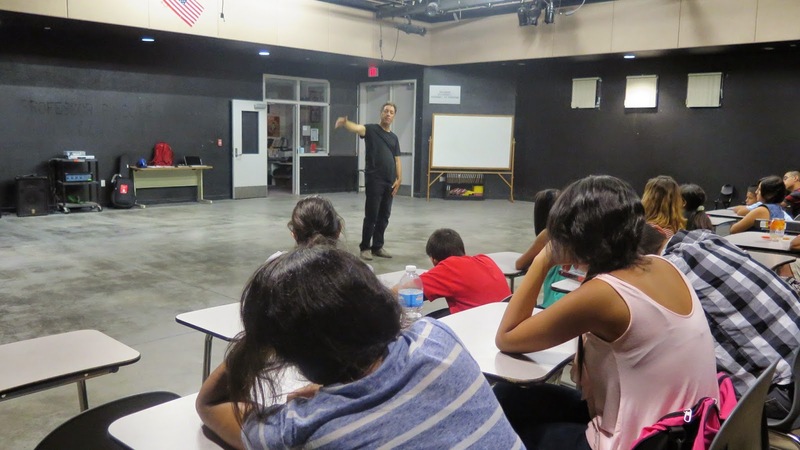 Thursday morning 7AM, after a LATE night with Giant and Verz…the day began at Carlos Garcia’s black box studio theater/classroom at the Desert Mirage High School in Thermal. Three back-to-back classes learning by doing; voice, body, text and style…in a funky bi-lingual flow with these curious kids. Thursday afternoon started with a coaching session with an aspiring playwright/actor from Indio, Reggie Davis. We talked at length about his love of art and theater, and about his ambition to find a way to continue studying, hopefully in LA or another larger city, and about overcoming obstacles…something he knows a lot about. 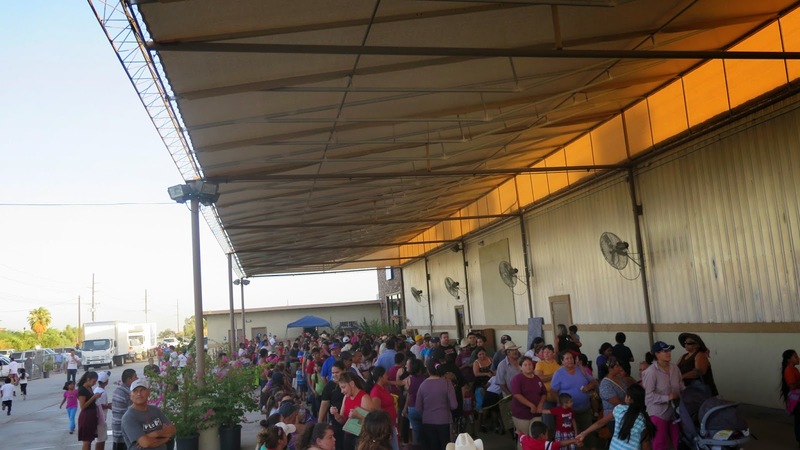 Galilee Center, Mecca, distribution day. 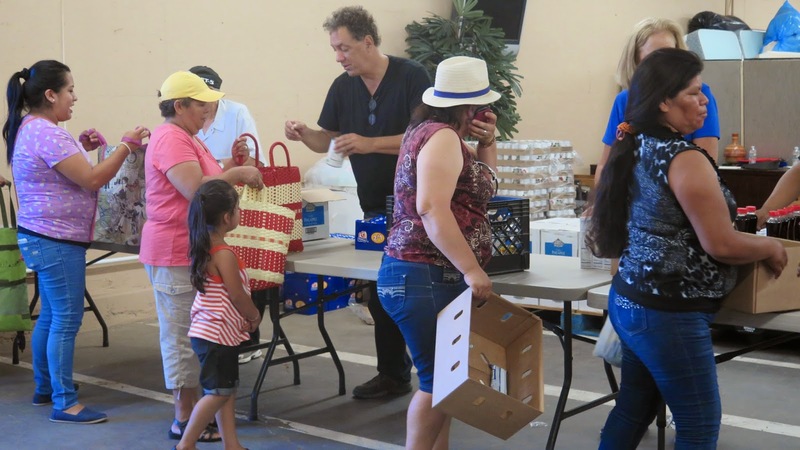 90 minutes of fast and grateful food-banking. Galilee Center, Mecca, fresh Tilapi in a sack! Galilee Center, Gloria and Serafim. Friday brought me to the award-winning, ground-breaking, and very hip 24th Street Theater in Los Angeles. 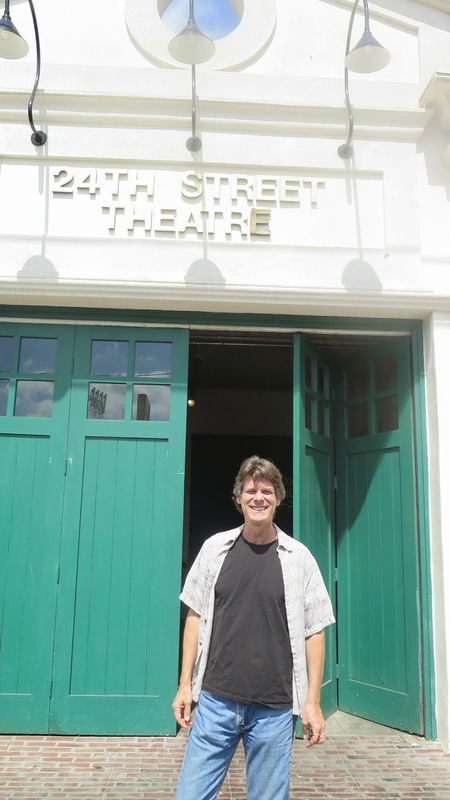 Jay McAdams, co-founder with Debbie Devine of The 24th Street Theater in LA. 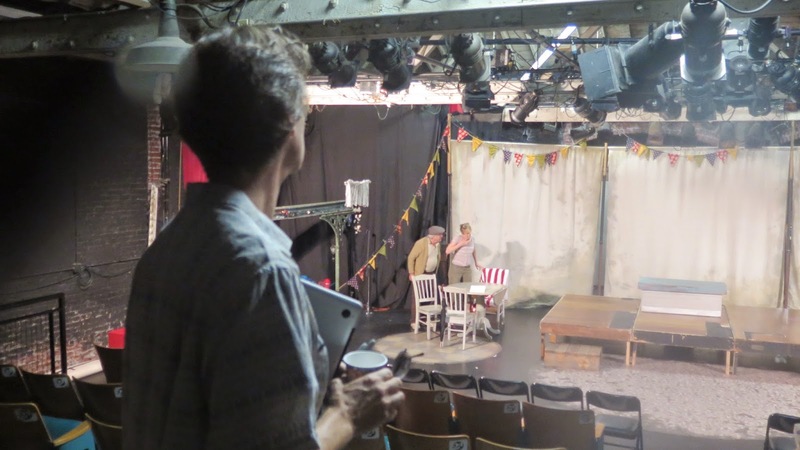 Watching rehearsal of the award-winning Walking the Tightrope…touring to the McCallum in October. 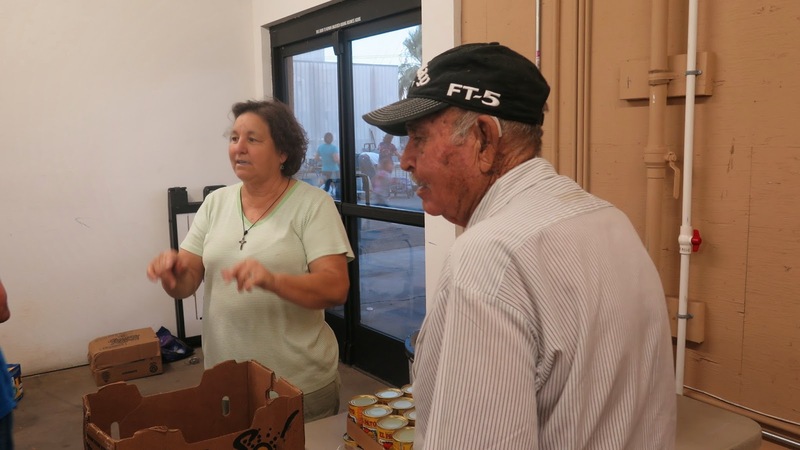 Jay and I talked about the goals for the Crisalida Project. The 24th Street Theater received a grant from the Irvine Foundation last year so we had a lot of common ground. 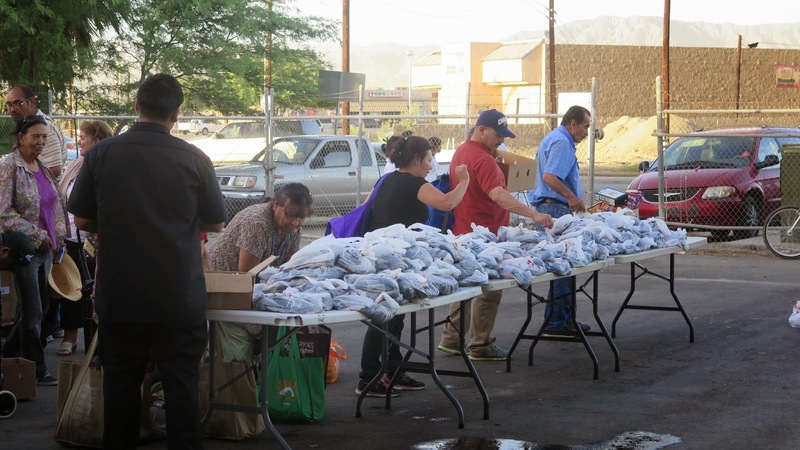 We talked about setting up a “meet and greet” type gathering with LA Latino theater artists and teaching artists to begin establishing a “talent pool” to help realize Crisalida’s mission. They have been working without pause to make the theater a place where all people are welcome, and to that end have commissioned and produced a number of plays in Spanish and tour them to Mexico and South America.